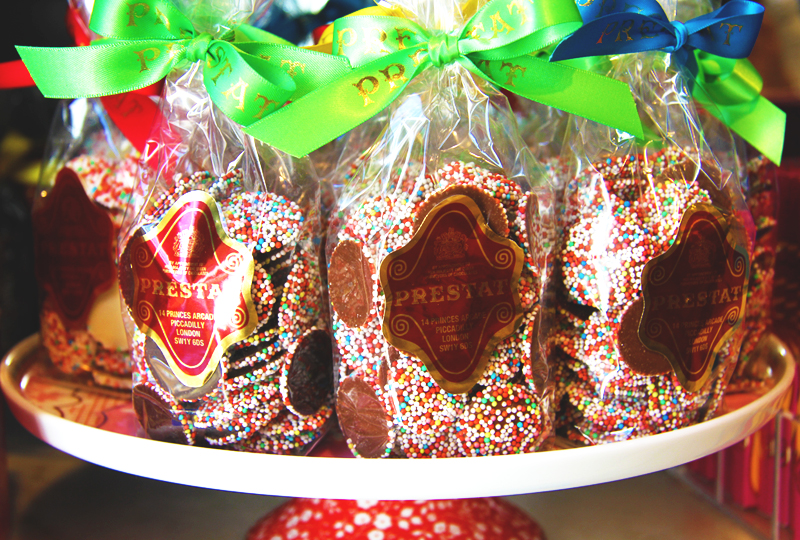 If you have never tried a famed Prestat truffle, we certainly encourage you to do so. Nominated as one of the world’s top three chocolate shops, Prestat’s story is quite exceptional. Established in 1902, this famed fine chocolate manufacturer has been awarded two Royal Warrants, to which it now holds the Queen Elizabeth The Queen Mother Warrant as purveyors of chocolates. This may appear impressive in itself, however over the last century Prestat’s extensive list of celebrity clientele is one not to shy away from: Princess Diana, Stephen Fry and Roald Dahl, to name a few. Like Charlie Bucket, I stood outside the doors of the newly opened Prestat Cafe ardently anticipating what delicious delights awaited. The mere thought of gobbling up Red Velvet Truffles, Pecan & Maple Dream Chocolate Bars and Chai Hot Chocolates ignited my taste buds. As I walked past a young, fashionable group sunning themselves on Prestat’s outdoor seating, I was greeted with an encouraging welcome from the waiter. As I squeezed myself in, the walls adorned with various coloured chocolate boxes piqued my curiosity. I was swiftly served an array of truffles to start, accompanied by an English Breakfast Tea impressively presented in a teapot painted with pictures of peonies. Needless to say, the truffles were divine. As I munched my way through the assortment, the Dark Sea Salt Truffles stole the show; the outer shell was delightfully sharp and the oozing caramel centre was lusciously sweet. I implore you to taste one, and then you are sure to understand why Roald Dahl wrote, "I do so adore chocolate truffles, as Prestat makes them!" My pot of English Breakfast Tea was ‘top notch’ too, beautifully served in a vintage style tea set. It evoked a sense of wonder, which was refreshingly original for a cafe in the Chelsea area. Onto round two, I sort of somehow feel I may have done my sitting topsy-turvy. 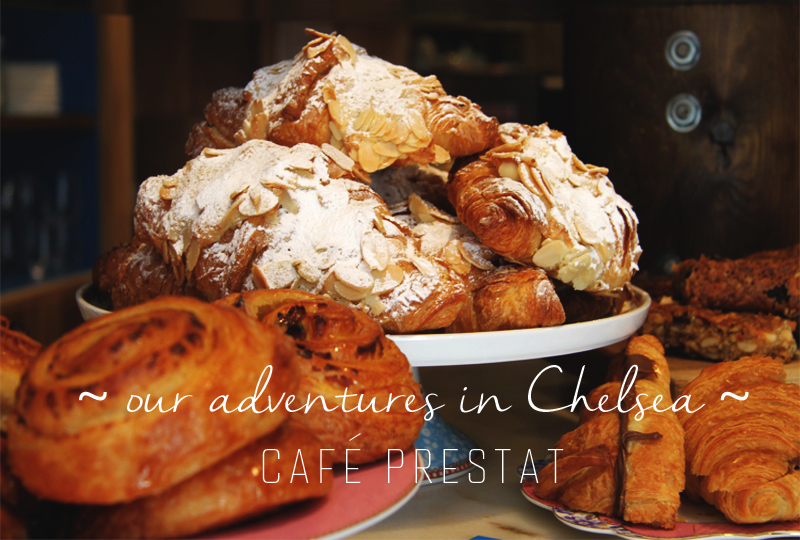 From first glance the menu handed to me appeared to be a little overwhelming, however as I delved a little deeper, what Prestat has to offer is far beyond most cafes in London. All the sandwiches and salads are made fresh in store and the choice of food is delightfully varied. Oh and there’s an all important gluten free option too! After I gobbled my scrummy Wilshire Ham & Montgomery Cheddar sandwich, which I thoroughly recommend to anyone visiting, I decided it was my time to leave the cosiness of Prestat’s Cafe. As I stood up, my plate was swiftly cleared and I was taken to the door by the waiter with a warming smile.